Are you a back sleeper? Side sleeper? Do you vary your sleeping position throughout the night? 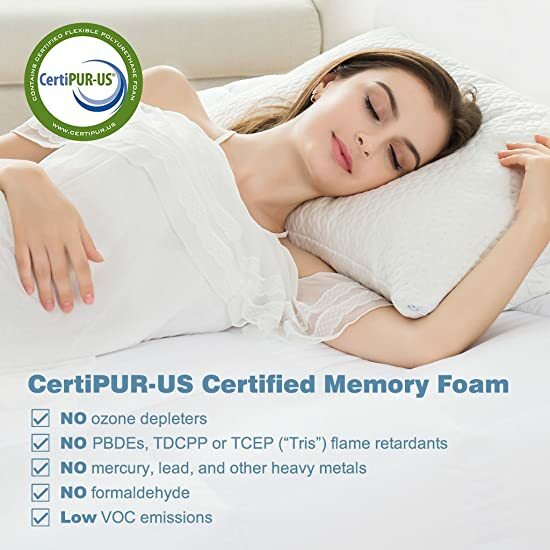 The new luxury standard/queen size shredded memory foam bed pillow is your best option. 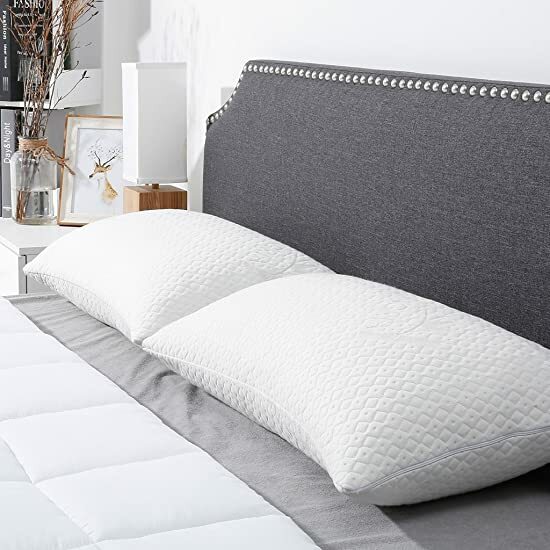 You can now conveniently access the high-quality shredded memory foam of your pillow to tuck it or remove some of the fillings to better adjust the loft, firmness, and support according to your specific needs. It will ensure excellent neck and head support and spinal alignment while freeing you from uncomfortable pressure points. 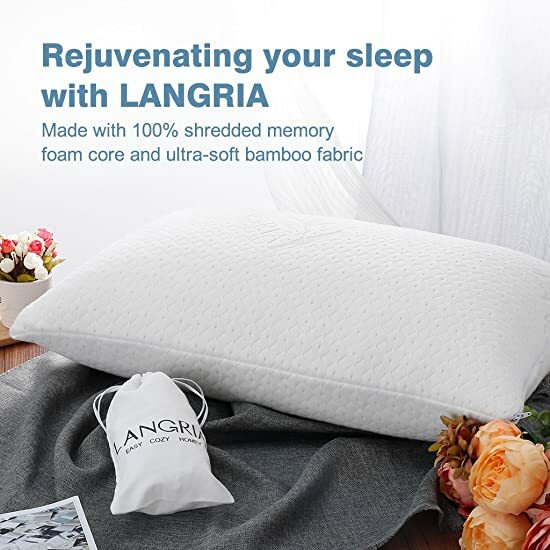 Another great advantage of this LANGRIA new pillow is its bamboo (35%) and polyester (65%) cover. 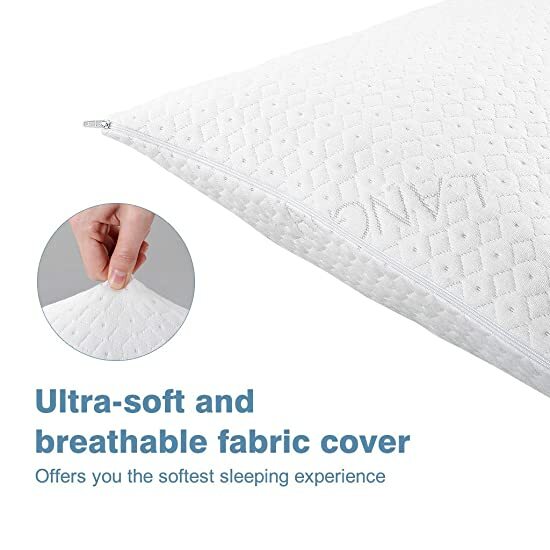 It is super soft to the touch and has an elegant jacquard fabric, which is machine washable, odor-free, anti-bacterial, hypoallergenic and sweat-absorbent. Last but not least, a 100% cotton pouch is included so you can keep the extra shredded filling that you won’t be using to save it for later. 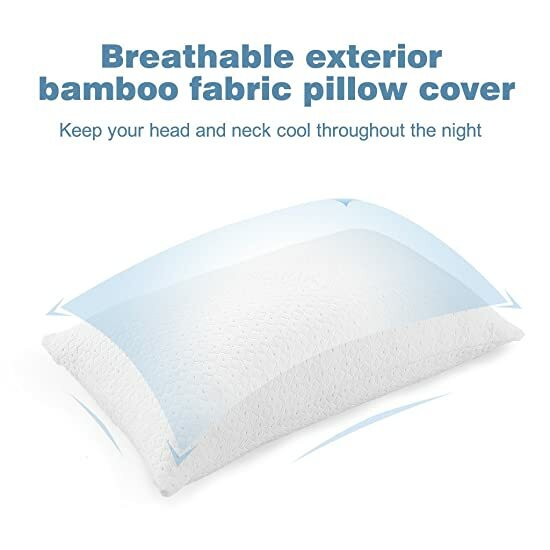 - Before its use: gently pat the pillow so it will recover all its fluffiness. 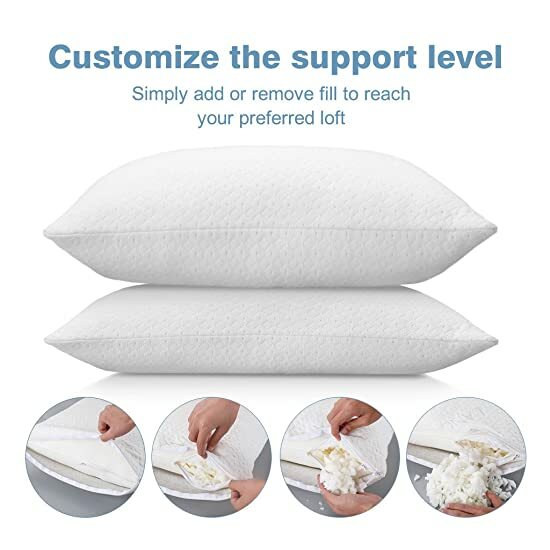 Use the following methods: 1) Grab the end of the pillow in each hand. Push the ends of the pillow in-and-out, as you would do playing the accordion. 2) Hit the sides of the pillow simultaneously with your fists. 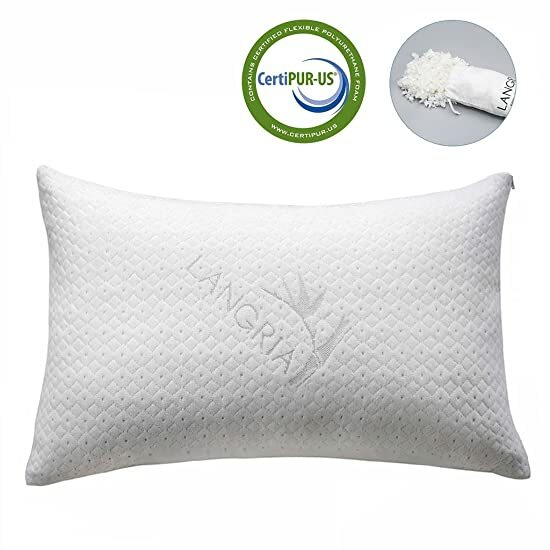 - After a long time of use: pat the pillow and then keep it in the sun for 5 minutes to restore its original fluffy form. 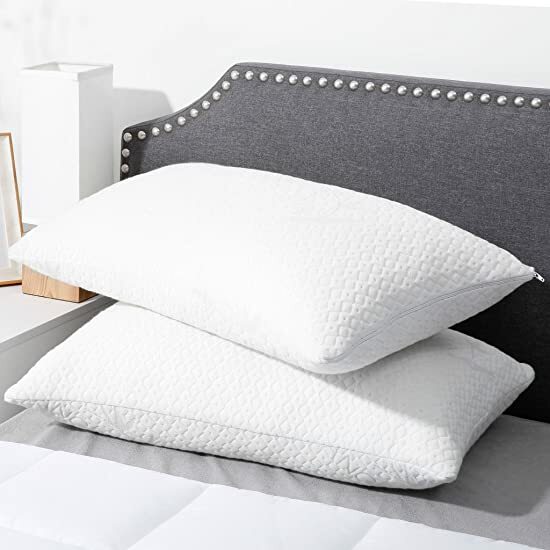 3) Squeeze the pillows from the top and bottom (the wide part).